The historic farm of Natte Valleij set on the lower slopes of the Simonsberg Mountains, is within easy reach of Paarl, Stellenbosch, Franschhoek and Cape Town (35 minutes). 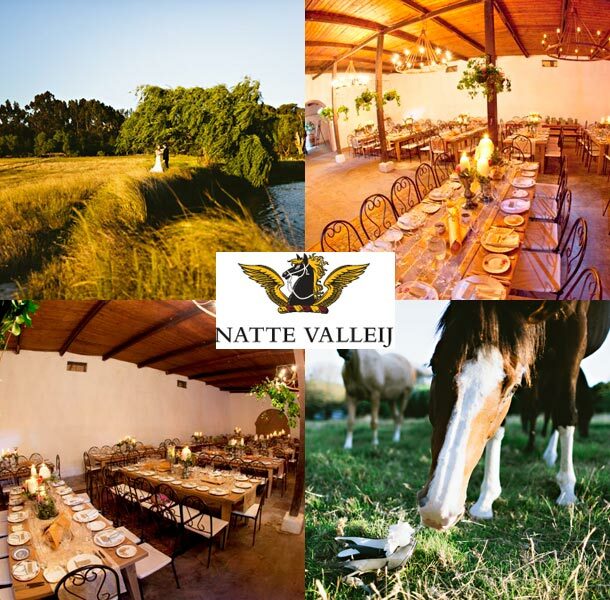 Natte Valleij oozes a sense of history with its homestead, old wine cellars, brandy stills, magnificent mature gardens with ancient trees, pergolas and ponds that all are surrounded by whitewashed walls. 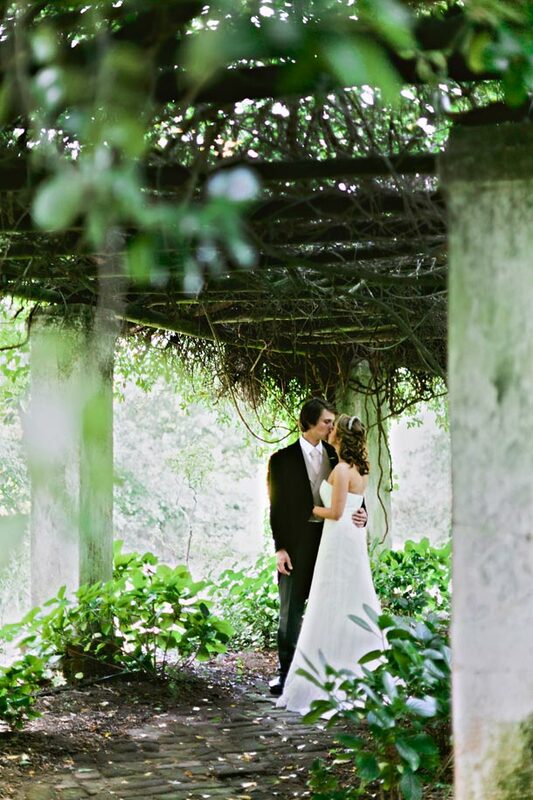 We offer our garden and historic wine cellars as a venue for weddings. The cellar, with its beautiful original yellow wood and reed ceilings, has three sections, which can cater for between 50 and 200 guests. The cellars open up onto the extensive gardens, which is a truly romantic setting and ideal for pre dinner drinks and photo opportunities. We would be delighted to supply our wines for the reception however should you wish to bring your own wines we do not charge corkage. What we offer is a ‘blank canvas’. Each bride has her own ideas and can project them in her own style. You would be most welcome to use a wedding planner should you wish. One portion of the cellars is a perfect chapel where many of our couples have held the wedding ceremony. The venue is yours for three days leading up to the event and two days after the event because this venue doesn’t do more than 1 wedding a week. To book your wedding at this venue telephone Charles on +27 (0)21 875-5171. Alternatively visit Natte Valleij to send an enquiry or for further details. We are a party of about 24 for a wedding reception pinic on sat the 16th Feb. What would you charge to have the picnic on your lawn? Hi Anthony, it’s best if you contact the venue directly to get a quote – their contact details can be found in the post above.